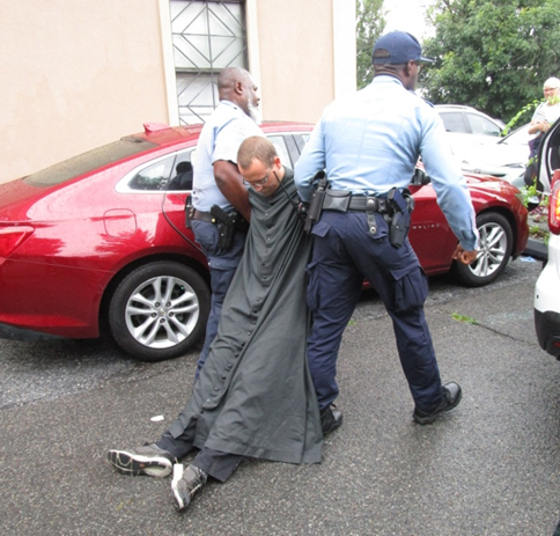 At 9am Tuesday July 24th four pro-lifers entered the Capital Women’s Services abortion center at 6323 Georgia Ave NW to talk to the women sitting in the waiting room scheduled for abortions and to offer a peaceful act of defense for the unborn about to be killed. They are Father Fidelis Mochinski of the Franciscan Friars of the Renewal, Father David Nix –a priest of the Archdiocese of Denver, William Goodman who just completed a 34-day jail term for the Dec. 2, 2017 RRR and Baby Jane Doe—a rescuer who did not give her name to police so as to be in solidarity with the nameless, unwanted unborn. 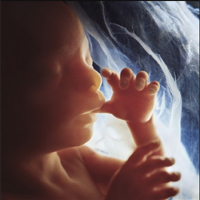 Five couples came to the abortion center and were counseled by the rescuers and offered a rose as a sign of life. A few of them did take the rose and pro-life literature and Baby Jane Doe counseled a Hispanic couple for over 15 minutes before the police arrived. Even some abortion center staff members took the roses that were offered to them. Will Goodman spoke for several minutes to the boyfriend of a woman there for an abortion. The four Red Rose Rescuers remained in the abortion center for over two hours—during which time no abortions were performed. Sidewalk counselors were on the street below and were able to give literature to several women entering the building. Local CBS news covered the Rescue—capturing on film the 4 pro-lifers as they were being placed under arrest. Frs. Mochinski, Nix and Will Goodman were released from jail by that afternoon. Baby Jane Doe was released June 25th. They are charged with a simple municipal citation for trespassing. 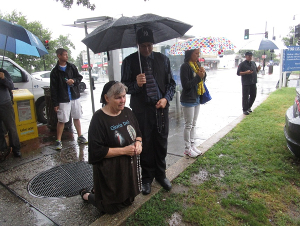 Above Photo: Pro-life heroine Joan Andrews Bell kneels in prayer outside of Capital Women’s Services during July 24th Red Rose Rescue. and Fr. Stephen Imbarrato are also in prayer. Fr. 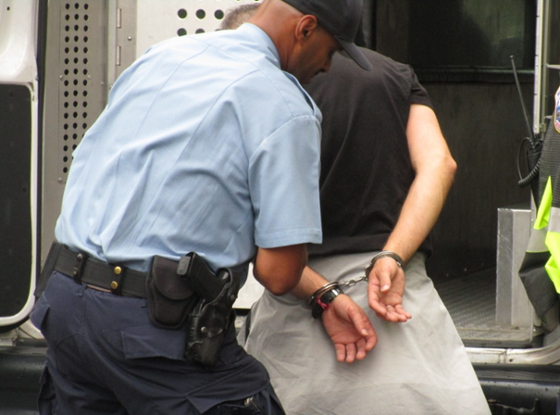 David Nix arrested for defending the unborn. Your CPLS Director was present at the Red Rose Rescue and also attended the sentencing hearing for Julia Haag and Joan McKee. They participated in the Dec. 2, 2017 RRR, were tried and convicted June 25th of trespassing. Their sentencing statements to Judge Morin were incredibly eloquent. Judge Morin imposed an 18 month non-reporting probation with no conditions except that they may not enter the property of the Capital Women’s Center abortion center were the Dec. 2, 2017 RRR took place. But they are not restricted from sidewalk counseling there—and not restricted from participating in a RRR at a different abortion center.